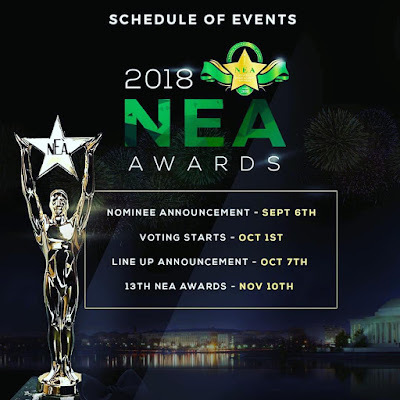 The Nigeria Entertainment Award (NEA Awards) was established in New York City in January of 2006. NEA Awards is an annual event focused on recognizing the many contributions of African Entertainers to a thriving entertainment industry. The producers of the event are dedicated to promoting the image and rich culture of Nigeria in the continent and around the globe.